I have a love for exotics, they are many plants that have huge tropical foliage, and are well suited to the uk climate. I will detail some jungle giants. This was a picture of a plant taken at Kew gardens. 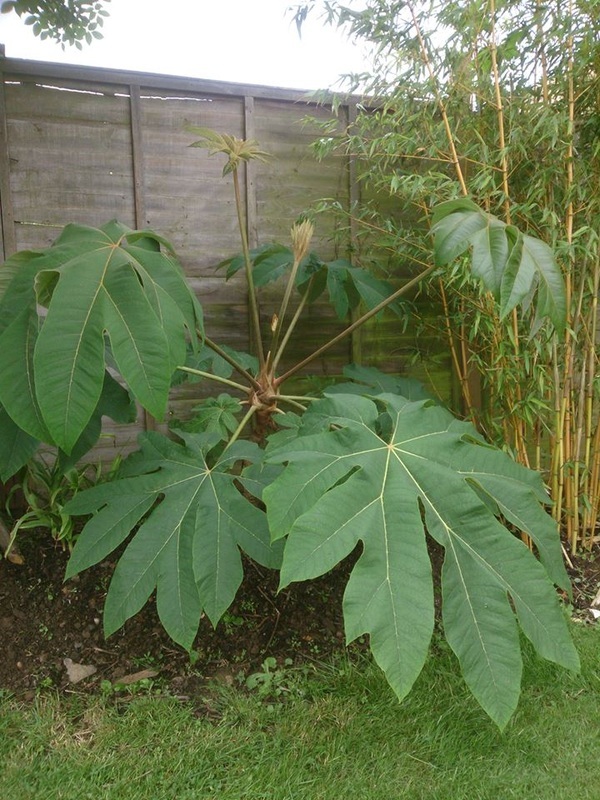 Tetrapanax papyrifer 'Rex' or know as rice paper plant pictured in my own garden below. Tetrapanax papyrifer 'Rex' is undoubtedly one of the most architectural, hardy, exotic plants possible to grow here in the U.K. With perhaps the largest leaves of any other woody plant grown here "Rex' certainly makes it's presence felt in a tropical garden. 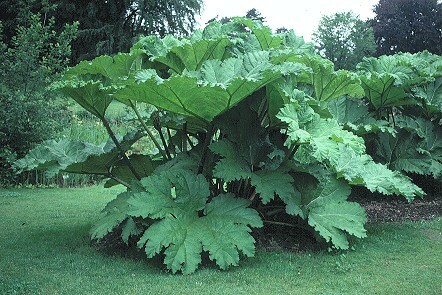 Below is a plant called Gunnera which is one of the biggest and most spectacular, architectural, herbaceous plants, commonly thought of as 'giant rhubarb'. It loves boggy soil and grow often near lakes or in parks. Its a great plant for huge foilage. I have one growing in a gaint 50 ltr pot. they look somewhat like they should be in the dinosaur age. A tropical looking tree i have is called paulownia tomentosa, infact i have 2 in my garden because you can prune them for gaint huge leaves or let it grow naturally it opens with blue flowers, here is 2 pictures of the tree, see which you prefer. 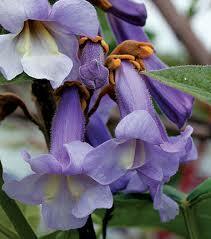 would you go for the sweetly scented violet-blue flowers. Or you can pollard the main stem, just grow one bud and you will get huge tropical looking leaves. the tree can grow up to 10ft or more in just one season. Theres a whole more to gardening, tropical gardening!